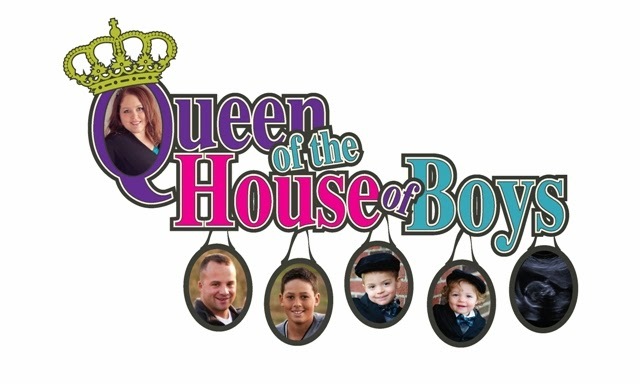 Queen of the House of Boys: Beauty all around!!! Mudd Lake welcomes Mckmama & Friends! Everything was decorated in Fall decor. Absolutely b-e-a-u-t-i-f-u-l! The leaves on this tree were so perfect they didn't even look real! The coat rack that I purchased made out of old skiis! If you know my family history, you'll know this is very very special to me! Three beautiful ladies that I met! Mela Kamin, Chris Ann, & Kelly! I "heart" them! These are made out of old tin tiles. Mudd Lake has many different tin tile creations to choose from! I don't even remember taking this picture! One of the 3 buildings full of beautiful furniture and decor! Bob, the owner, of Mudd Lake Furniture Co.
Go here to read his "story". So kind to open up his shop to all of us ladies, and a few brave husbands. Mckmama listened so intently to all of us telling her our stories. A few of us...but definitely not me..ahem...may have been a bit star struck to begin with. However, Mckmama's awesome personality combined with just being real and down to earth...quickly got me...I mean them past that star stricken moment. Becky and her beautiful son! There were several "baby wearers" in attendance. I never knew there were so many different types of baby slings out there! A very brave husband! And cute baby Haakon! A wonderful warm fire on this beautiful Frozen Tundra evening. If I ever have a big foyer, I am totally doing this. A table on top of a table with book and picture frames. What an awesome idea! More mingling and baby wearing. Christy in the turquoise sweater. Also an awesomly beautiful women! With 7 kids! We actually found out we lived in the same town at the same time back in 1997! Crazy right!? Mckmama & I in our self portrait! Our blue eyes match! Shannon and her husband. They are an absolutely gorgeous, nice, genuine couple! Can't wait to keep in touch! Bob served us all brauts, sauer kraut, mini quiches, cheese & cracker, wine, pop...did I leave anything out? All very good! Not just your ordinary brauts & sauer kraut either. Locally and fresh made! Just to the left of Bob is his interior designer! She does a beautiful job! we are near the end..sniffle sniffle...NOOO...I don't want it to end. A little silliness after 6 hours of mingling, hugging, eating, laughing, smiling. Fun. Beautiful. Memory building. Forever friend making. Blog tip trading. Event of a lifetime! Great pics, Janelle - and a wonderful recap! So thankful you made the trip - it was so fun. Looking forward to keeping in touch. WOW LADY! You must be a name person cuz geez louise that's impressive. It was great to meet you! JEALOUS! I spent the day preparing for a birthday party while trying real hard to pretend that I wasn't SICK with a stomach bug. I'm so glad you went and had such a great time! It looks like it was just beautiful with all the fall colors! Looks like a blast! Love all the pictures and only wish I could have been there. A cold kept me away as I didn't want to get any of those other moms, dads or babies sick! Glad you had a great time! Fabuolus pictures, Janelle! It was a delight to meet you there. Will also post the pictures MckMama took of your family? I look forward to seeing those! I am still jealous! The trees look so beautiful! I love fall! Exclamation point much!! I think I have an exclamation point addiction.....no kidding! LOVE the ski coat hanger and totally get it! Thank you everyone for your encouragement, kind words, and just pretty much everything! I am really getting into the blogging "thing"! It just really helps me keep my identity and hope to encourage other women and make you laugh once in a while too!